The Center on Global Policy Solutions’ 2011 report from the Commission to Modernize Social Security examines the impact various reform proposals would have on people of color. 2012 Report: Breaking the Social Security Glass Ceiling: A Proposal to Modernize Women’s Benefits. A joint project of the National Committee to Preserve Social Security & Medicare Foundation, National Organization for Women Foundation and the institute for Women’s Policy Research. For additional information on the impact of Social Security on children see, The Center for Global Policy Solutions report, “Overlooked But Not Forgotten: Social Security Lifts Millions more Children Out of Poverty,” July 2016. 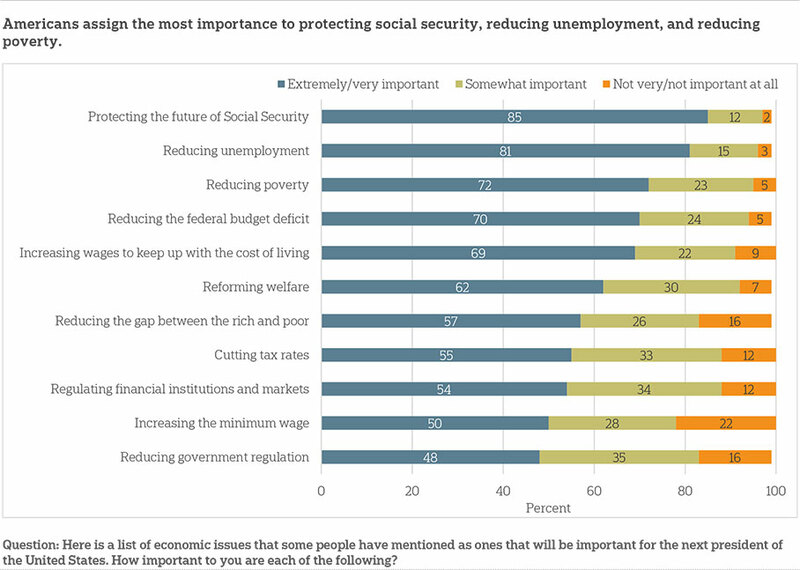 According to a recent Associated Press opinion survey, Social Security tops the list of Americans’ economic concerns.